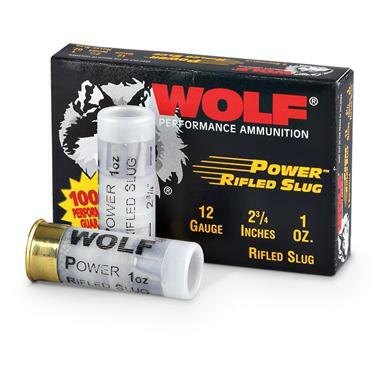 Wolf® 2 3/4" Rifled Shotgun Slugs. Accurate and powerful for the hunt! An advanced wad design and a precision slug offer consistent accuracy. Plus high velocity with low recoil thanks to clean-burning CSB powder. Designed for smooth-bore barrels but can also be used with rifled choke tubes or fully rifled barrels. 12 gauge, 2 3/4", 1 oz. slug. Muzzle Velocity: 1,400 F.P.S. 5 rounds / box. Reliable and a great value. Order Today! 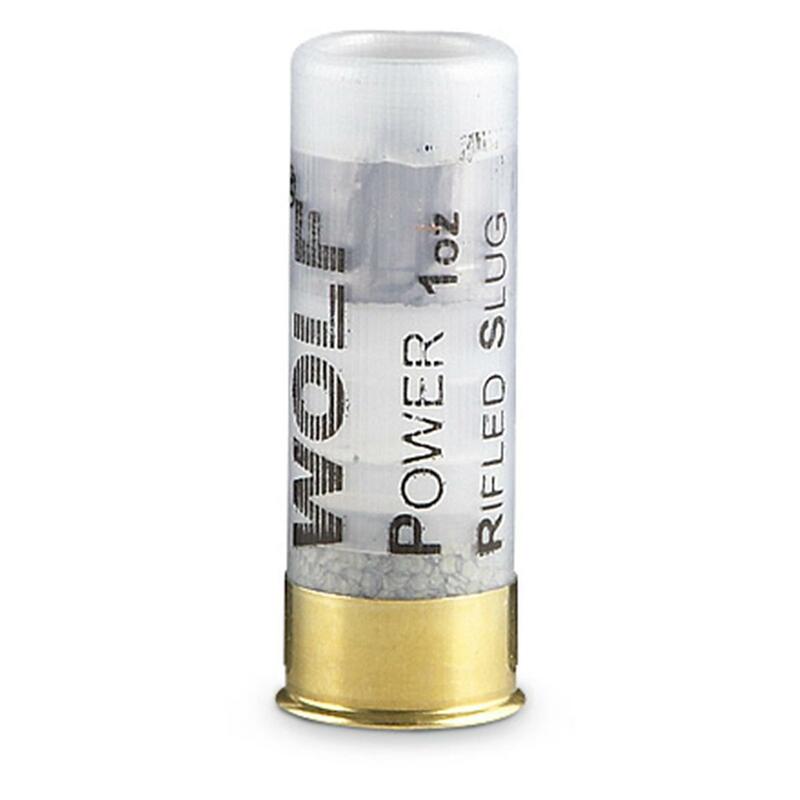 Wolf Power Rifled Slug, 2 3/4 12 Gauge, 1 oz. Slug, 250 Rounds is rated 4.8 out of 5 by 4. Rated 4 out of 5 by Chris from Good Value Performs well, and nice price. Rated 5 out of 5 by Dave from Awesome slug, very accurate I have an 870 with an 18.5" barrel with ghost ring sights and I can hit a clay at 100 yards in the berm with these things. Unreal how accurately they fly, flawless. Rated 5 out of 5 by JERRY from Goes great with the bandoliers.. Rated 5 out of 5 by MICHAEL from Just what I thought.